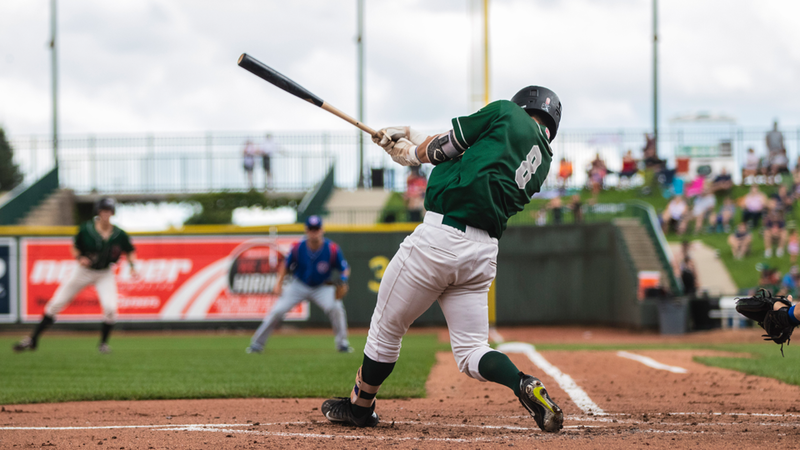 MIDLAND, Mich. - In the 2018 regular season finale, the Great Lakes Loons fell in a pitching duel on Labor Day to the South Bend Cubs at Dow Diamond. In the 1-0 victory, the only run scored by South Bend was due to an error in the top of the ninth inning by second baseman Devin Mann. Upon making a force out, Mann attempted to throw out Cam Balego at first base. The wild toss to first allowed Jimmy Herron III to score. 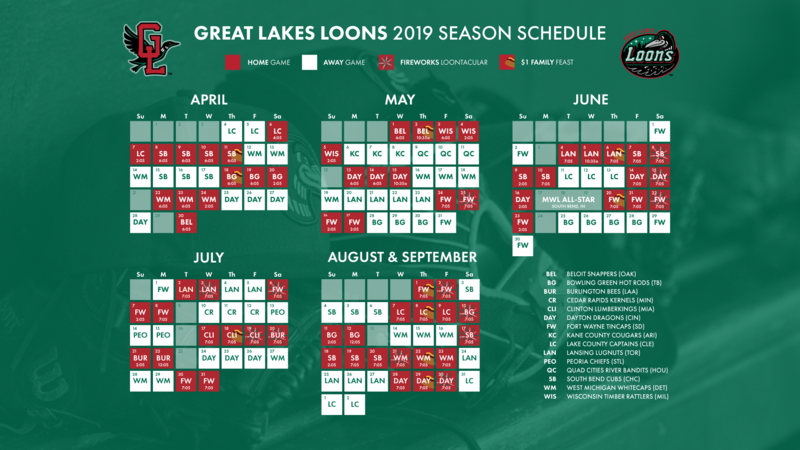 The focus for the Loons (36-33) now shifts to the postseason and Game 1 of the Midwest League Eastern Division Semifinals on Wednesday, Sept. 5. As of this writing, their opponent is yet to be determined as it will either be the Fort Wayne TinCaps or West Michigan Whitecaps. The team will return to Dow Diamond for Game 2 at 7:05 p.m. on Sept. 6. Tickets are on sale now for the game that will feature a $1 Family Feast Night and a Fireworks Loontacular, both presented by Chemical Bank. Cubs' left-handed starter Brailyn Marquez threw 2.0 innings before going exiting after taking a line drive off his leg. Right-hander Jeffrey Passantino, who was supposed to piggy-back off Marquez regardless, took over in the third inning. Passantino was absolutely dominant, racking up seven strikeouts in 4.0 innings. He issued just one hit and one walk. In his last two outings, the 22-year-old has given up 10 runs on 21 hits in 9.2 innings. The surprising performance helped South Bend keep Great Lakes off the board. Loons' manager John Shoemaker had right-hander Zach Willeman start the game against the Cubs. Willeman, a Los Angeles Dodgers 2017 draft pick from Kent State, struck out three batters in 3.0 scoreless innings. His reliever, 6-foot-7 right-hander Mark Washington, threw 2.2 innings without a run before handing the ball off to Jasiel Alvino for his perfect 2.1 innings. When Herron scored on Mann's error, reliever Austin Drury was on the hill for the Loons. Once the run scored, Drury issued a single to Brandon Hughes and walk to Rafael Narea to load the bases. Melvin Jimenez took over for Drury and immediately recorded the inning-ending out. Jacob Amaya, Devin Mann and Hunter Feduccia were the only Loons to earn hits against South Bend's pitching staff on Monday. Romer Cuadrado, Eric Peterson, Chris Roller, Luke Heyer and Amaya each reached on a free pass. Despite only hitting the ball twice, Cubs outfielder Austin Upshaw was another top offensive players for his team, going 2-for-4. Herron was 2-for-3 with one walk and one run scored. Brian Glowicki pitched the bottom of the ninth and shut down Mann, Cuadrado, and Matt Cogen to secure a 1-0 victory for the Cubs. Glowicki appeared in 45 total games this season, logging 18 saves in 21 save opportunities.